When you submit a form to us containing your personal details, your information will be stored for a limited period of time only and will be used by us solely for the purposes of contacting you to discuss our services. ​Once we have been in touch to discuss your requirements, we hope that you will be happy enough to hire our services. If this is the case we will retain your information on file for a limited period of time to enable us to carry out the work you require. If you decide not to use us, any personal information that you have provided will be deleted. We are committed to safeguarding the privacy of our website visitors and clients. Please do not supply any other person’s data to us. We collect data from people that have made contact with us directly. We will hold that data during the time that we administer our business and services and/or to fulfil our contract with you and any time thereafter for legal or financial reasons. We will not disclose your data to third parties, other than to our payment services provider to enable them to process your payments, where relevant. Data is limited to transaction data and is used to process or refund payment and to deal with complaints and queries. Personal data will not be kept by us for longer than is necessary to meet the purpose stated. We will however need to retain your personal data where such retention is necessary for compliance with a legal or financial obligation. We will store all your personal data on personal computers and mobile devices in secure record-keeping systems. We do not store any of your credit card information. All financial transaction data including cardholder details are stored by our payment processors. This is a summary of your rights under GDPR law. Some of these rights are very complex. For a more detailed explanation, please go to the Information Commissioner’s Office. You have the right to have any inaccurate personal data about you amended and we may request that you provide any additional incomplete personal data about you. Personal data is no longer necessary in relation to the purpose for which it was originally collected. You object to the processing under applicable law. 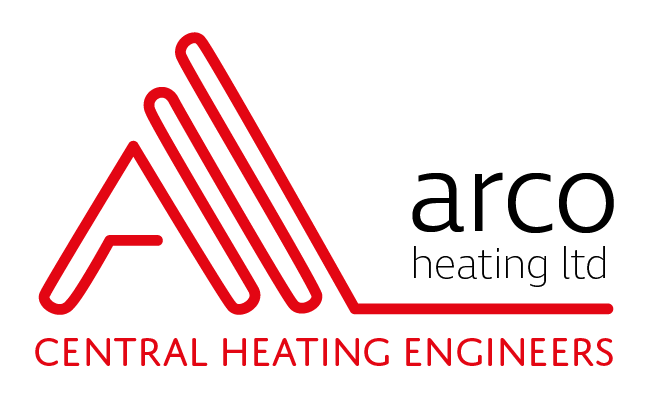 Please let us know by email (info@arcoheatingandplumbing.co.uk) if the personal information that we hold about you needs to be corrected or updated. This website is owned and operated by Arco Heating Limited. We are registered in England and Wales under registration number 04623359. Our registered office is Coopers House, 65a Wingletye Lane, Hornchurch, Essex, RM11 3AT. Our principal place of business is at 2 Hamlet Close, Romford, Essex, RM5 2DT. Our website may include links to, and details of, third party websites. We have no control over, and we are not responsible for, the privacy policies and practices of third parties.